Indoor Air Quality is a term referring to the air quality within buildings and homes, especially as it relates to the health and comfort of building occupants. Poor indoor air quality in commercial buildings also results in worker discomfort, reduced productivity and more sick days. Sick Building Syndrome (SBS), which is associated with poor indoor air quality, results in irritations of the eyes, nose, throat and skin, and can also cause other ailments. It is estimated that SBS costs the United States $60 billion annually in sick days, medical costs, and reduced productivity. 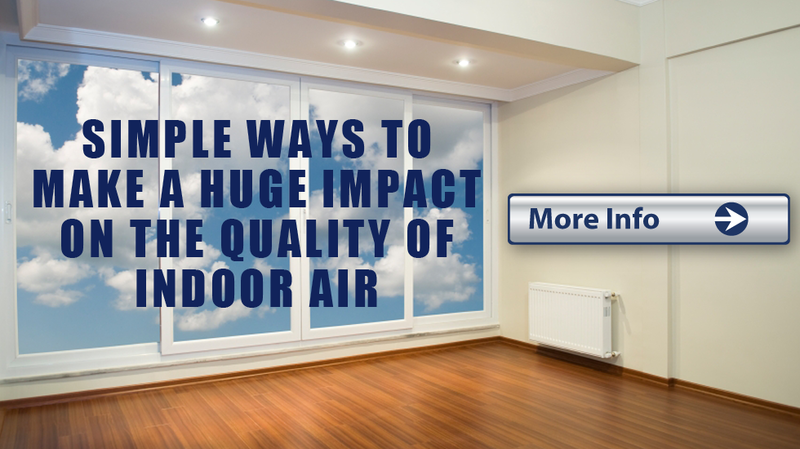 The good news is that there are simple ways to make a huge impact on the quality of indoor air. The adoption of “green” principles and periodic HVAC System maintenance and air duct cleaning, in addition to air duct sealing, can help improve indoor air quality and mitigate the risks of IAQ contamination and Sick Building Syndrome. Benefits of Healthy Indoor Air. Increased life expectancy – Reductions in air pollution can produce rapid improvements in public health. Research has shown that improving air quality by reducing current U.S. EPA particle concentration standards would result in a reduction in the risk of death. Improved indoor air quality can reduce symptoms of SBS by 20 to 50%, asthma by 8 to 25%, and respiratory illnesses by 26 to 75%. Occupants of green buildings report themselves to be more comfortable and satisfied with indoor air quality than occupants of non-green buildings. Research by Lawrence Berkley National Laboratory suggests that higher indoor air quality itself can boost worker productivity by as much as 5%. Increased Property Values – Rental properties, condominiums, homes and commercial buildings can gain a marketing advantage if they are known to offer a healthy and pleasant indoor environment. Services we offer to improve your indoor air quality. Thing you can do at home to improve your air quality. Change your air filters – More than 70% of Americans have forced or central heating, but 50% of those heaters never get a regular filter change-out. Alarmingly, 10% have never had a filter replacement at all. It is important to have your heater inspected annually—and to replace the filter every 3 months. Have your HVAC system, condenser coils, and duct work regularly inspected, and cleaned if dirty. Grow and maintain healthy plants in indoor spaces. The very same elements in the air that are dangerous for people are not a problem for plants, which not only thrive in spite of household air contaminants, but also help to remove them from the air. For example, airborne formaldehyde (a carcinogen that comes from materials like plywood, adhesives, carpet and paint) and carbon monoxide (produced by heating or cooking equipment) are readily removed by house plants.